Her name means true, right, real. In the first act of creation, a great Egg formed out of the primeval waters of darkness. 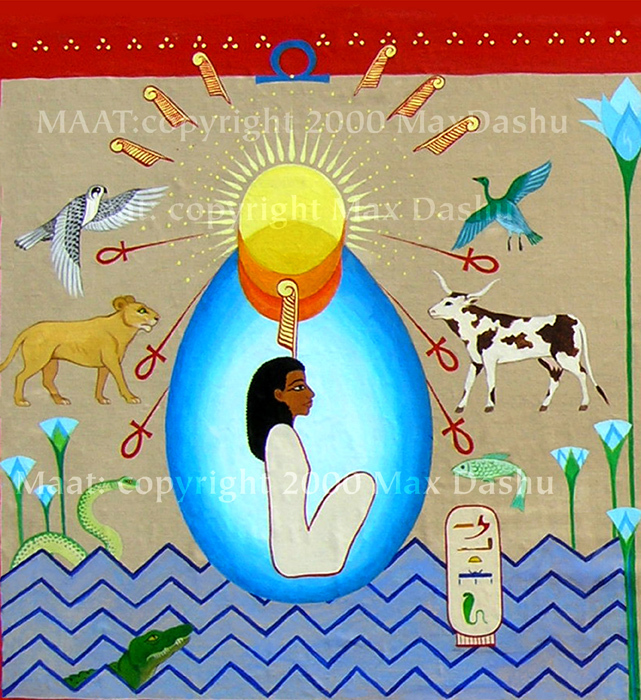 From it emerged the boundless spirit of the sun, causing movement and life, forming all beings according to Maat. It was Maat who laid out the course of the sun at creation. "Your right eye is maat and your left eye is maat, your flesh and your limbs are maat... you are because Maat is." In the end, the human heart is weighed against her feather of truth.